There is only a handful that truly encourages a complete lifestyle overhaul — one of which is clean eating. To lose the pounds for good, it is important for people to change the way they eat and remove any bad habits from the mix. This is what the concept of clean eating aims to achieve. In doing so, it helps people eat healthier and lose weight slowly but surely. Clean eating is focused on affecting long-term changes, providing a potential solution for the battle of the bulge. With clean eating, it is not just about healthy eating. The concept focuses on watching what you eat. Basically, it revolves around the concept of ingesting food items that have not been processed as much. This means that the time something gets from the farm to the table is relatively shorter. With clean eating, you consume more organic, whole foods than their processed or refined counterparts. Minimal handling is the name of the game. For example: Even refined sugar has healthier alternatives that clean eaters can utilize. 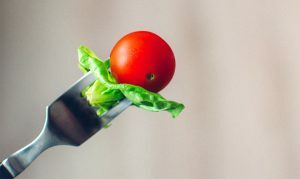 The purpose of clean eating is to develop the kind of eating habits that will nourish the body while removing anything that can compromise your health. Given the kinds of food that clean eaters require, one of the main challenges is overcoming the costs that come with organic, whole foods. Because of how these are sourced, they can cost a pretty penny and this is something that hinders people from giving clean eating a try. But it is well worth the investment since you will be ending up with a better body inside and out. Also, the clean eating lifestyle is not like other diets – it is sustainable, even for a long period of time. You won’t be banned from eating carbohydrates, sugars, or indulging in your guilty pleasures every now and then. In doing so, you won’t experience hunger pangs, cravings, or slowed-down brain activity. Interested in living a healthier and fuller life? Then clean eating is for you to try. 1. Start reading labels when you shop. Nutrition information is available on almost all prepackaged items that you can find in grocery stores, but most people don’t bother giving them even a second of their time. 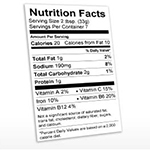 As a clean eater, it is important that you start reading the labels of the items that you purchase from the market. More often than not, you will see just how many artificial components some products contain. As they say, if you can’t pronounce it, then it doesn’t belong in your body. And aside from the ingredients that go into producing a certain food item, you will also see how many calories every serving contains, together with details on fiber content, carb count, protein, sodium, sugars, and more. In clean eating, aside from counting calories, you should also take note of these other numbers as doing so will help you balance your daily meals. 2. Reduce your intake of processed food items. When ingredients are processed extensively, they lose most of their nutrients. These are then replaced with artificial ones. 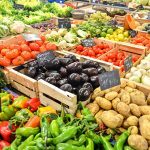 When you start eating clean, you should reduce the amount of processed food that you consume daily. Examples of such are junk food like chips and cookies and fast food as well. They don’t fill you up as good but pack on the pounds quite easily. 3. Give refined carbohydrates the boot. 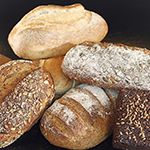 Unrefined carbohydrates are excellent sources of fiber. They fill you up quite well, for a longer period of time, and help you with digestion. And since the body needs more energy to break them down, your metabolism also rises when you ingest these food items. The same cannot be said for refined carbohydrates, an example of which is white flour. What you have here are simple carbs that the body can process in no time flat. So, apart from not filling you up for a long amount of time, these get processed into the bloodstream even before your body gets a chance to use them as energy sources. 4. Increase your intake of fruits and vegetables. Get some of your carbs and sugars from fruits and vegetables. 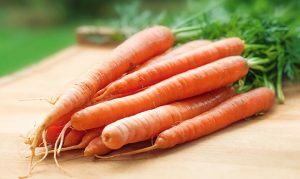 These even give you additional helpings of vitamins and minerals to boot. But eat them instead of turning them into juice. 5. When choosing meats, go for free-range options. The better your meat source has been raised, the better it will be for your body. Free-range meats have not been exposed to harmful chemicals from feeds and the like. 6. Control your sugar intake. Sugar can turn into fat stores fairly quickly. Too much of it can also cause cravings and sluggishness throughout the day. This is why you should use sugar sparingly. 7. Processed fats should be used sparingly as well. Vegetable oils or products such as margarine are cheap and flavorful but are not good for the body. This is because they help develop the kind of fat stores that turn solid when exposed to cool temperatures. 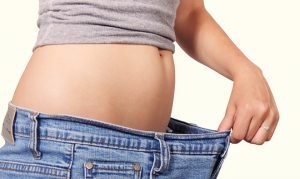 As a result, when these enter your body, your body gains additional fat stores that are not as easy to eliminate. It would be best to use extra virgin olive oil and nut butters instead. 8. 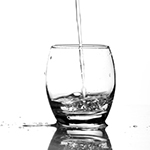 Choose water over any other beverage — especially alcohol. A water´s bottle, out of scene, supling water to a glass. Water has no added calories and can clean your system from toxins. Drink as much as 10 glasses a day for best results. You can also drink a glass before every meal so that you don’t end up eating as much.